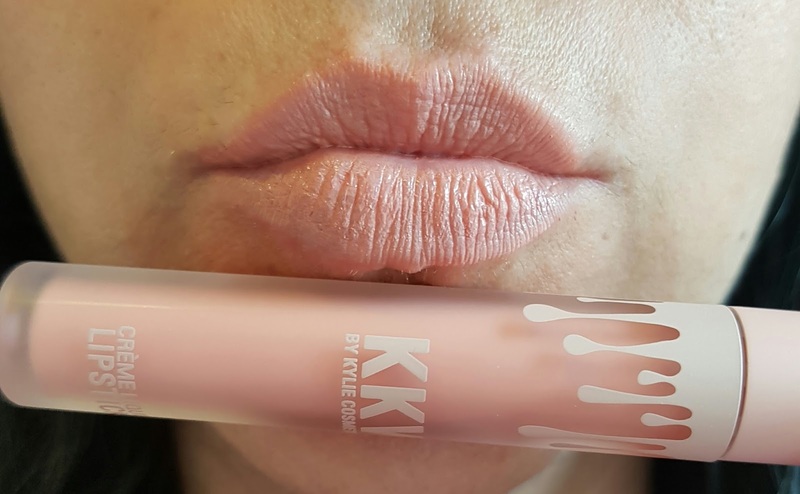 I have to confess something: despite being an absolute beauty addicted, I was a Kylie Cosmetics virgin. Yes, no lip kit for me, no shadows, nothing. 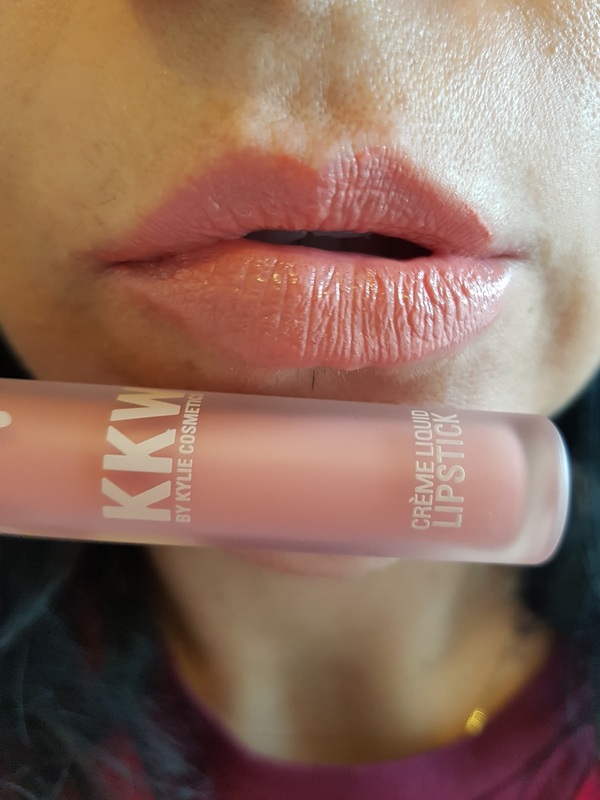 I always react like that when a big trend goes all over social medias: I stay away for a bit, see if the interest and the talk for the products fades, see what stays and then eventually I decide to try it. 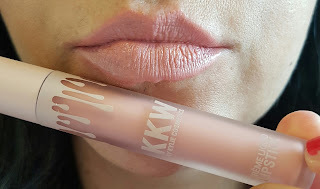 Of course in this case it was a bit different cos it doesn't look like the sparkle and the glamour around eveything that is branded after Kardashian/ Jenner is going away soon but the soft tones of the highly anticipated Kim Kardashian West for Kylie Cosmetics collection really made me want to finally try something from the brand, so as soon as it went on sale I got it. I believe it went sold out twice in few hours and at the moment it is not available on the website but I am sure there will be a third and possibly fourth restock! So I received the kit 9paid £48) within 10 days with a bloody custom fee of £17, hate this right? The box is a nice sturdy soft pink case with a handwritten (ah ah yes, sure, I totally believe it is handwritten form Kim, sure) note with a hint there will be more upcoming products from this collection. 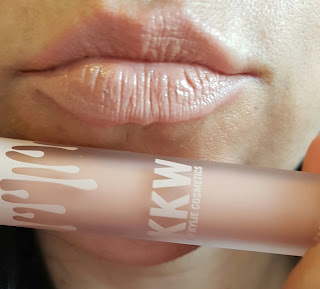 The lipsticks have a opaque case with pink lid and a very comfortable to use doe foot applicator. 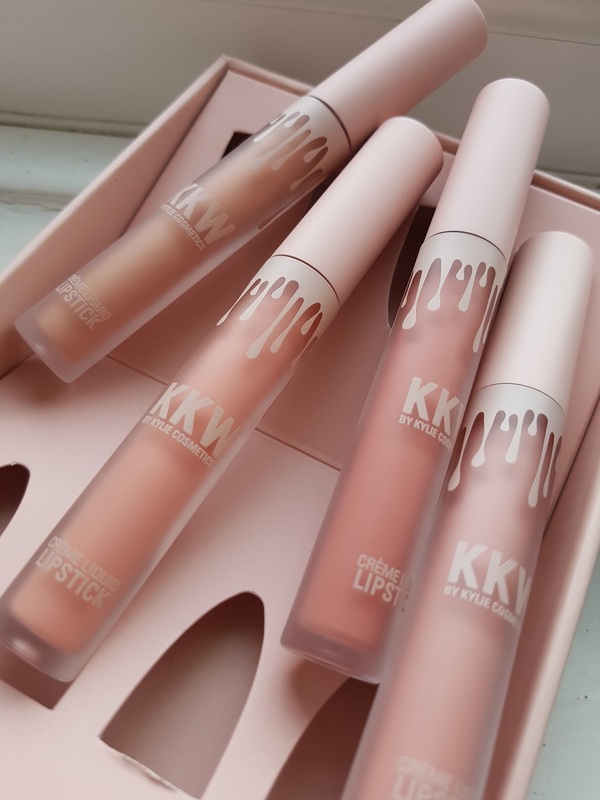 These are creme liquid lipstick. No mattes, no metallics, just creamy formulas. 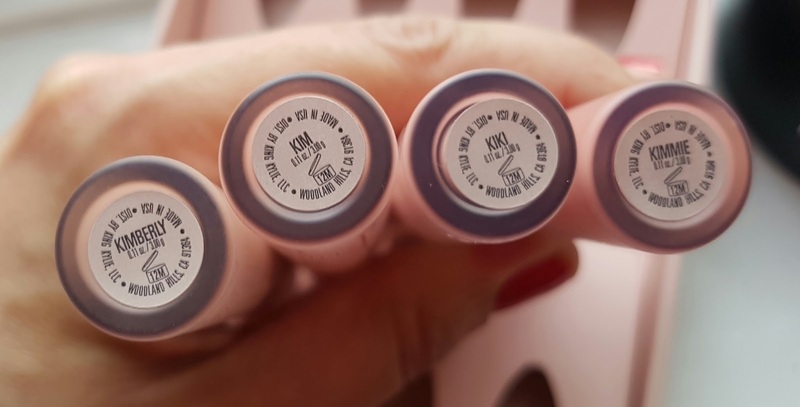 There are 4 shades in the box, all named after Kim herself. Yes, I totally agree with you: they bloody look all the same! 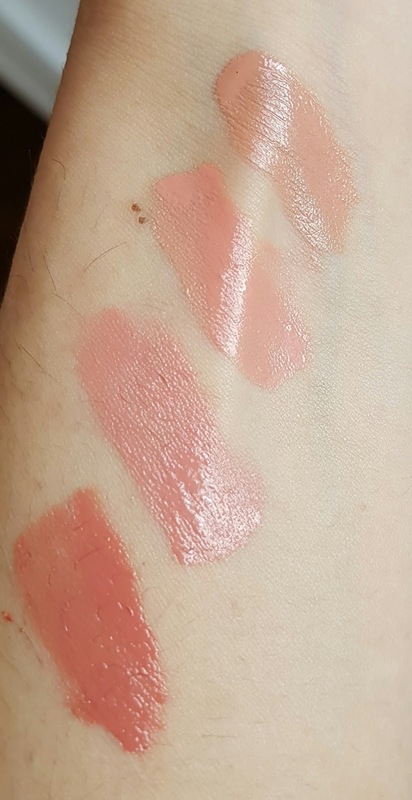 I mean, if you look at the swatches, one next to the other, you can spot the difference but on lips, well, they could be the same lipstick. The only one that may be noticed a bit more is Kimmie, that no need to say, it's my favourite. I just don't get the sense of this entire collection. I don't get the sense of 4 incredibly similar shades, i don't understand why all the 4 lip products have the same texture. It could have been a better collection with 2 cream lipsticks and two matte ones, or maybe a metallic one, as for example you can find in the Koko collections (I so regret I bought this and not the Koko's one!). The lipsticks are not even that good, application is messy, not even and they do not last more than half an hour if you are having a conversation. Do not even mention food or even a glass of water, they will be gone on the first sip. 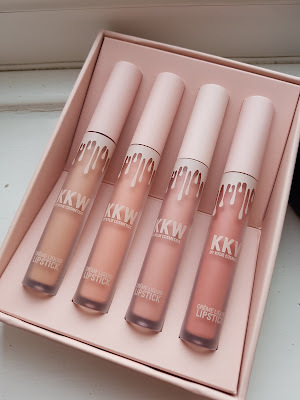 Overall this looks to me as a case of "put KKW on whatever you can think of, people will buy it anyway" and for my experience it has been a complete failure. Not worhty custom fee, not worthy the money, not worthy to be remembered at all.